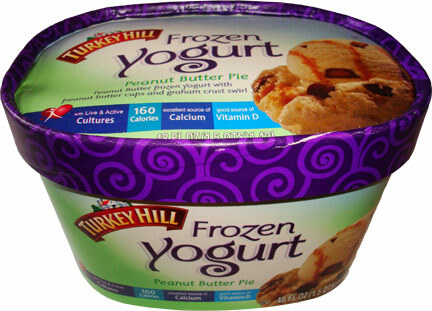 [By Nick, discontinued before 2015] Seeing as the ice cream gods like to spite me and not let me find Haagen-Dazs Peanut Butter Pie, I guess I have to resort to reviewing Turkey Hill Peanut Butter Pie Frozen Yogurt. Besides sharing the same name and base flavor, the similarities end there. 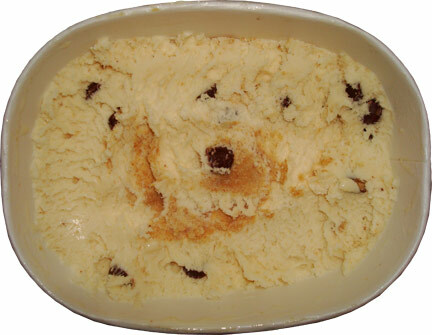 Turkey Hill’s version is made up of “Peanut Butter frozen yogurt with peanut butter cups and graham crust swirl.” If that doesn’t sound amazing to you, then you seriously need to get yourself checked out. The combination of peanut butter and graham crackers is delicious in pb s’mores, so why not combine the two in ice cream frozen yogurt? The peanut butter cups are just an added bonus to the mix. Also, coming in at about half the calories of Haagen-Dazs flavor is not too shabby. While it might not look super peanut buttery off the bat, there is a very appealing aroma coming from this frozen yogurt. It’s as if I opened a jar of peanut butter, not a carton of frozen yogurt. This is my first experience with Turkey Hill’s frozen yogurt and I have to say I’m quite impressed with the texture. 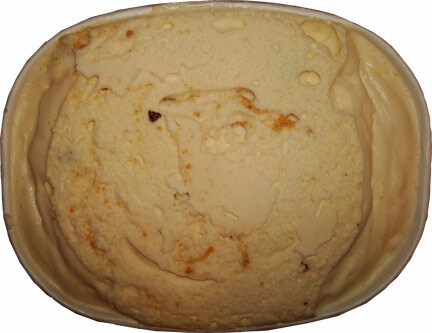 It seems to be denser than their normal ice cream and just as creamy. The smell of this one was a sign for things to come because this one is full of peanut butter goodness. The base, while not as intense as eating peanut butter from the jar is remarkably good. Peanut butter bases can tend to taste like vanilla with hints of peanut butter but this one is all out peanut butter. It’s more on the sweet side but there’s just enough saltiness to keep things in check. 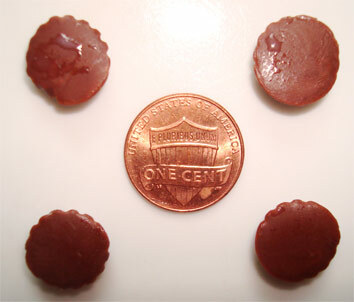 The peanut butter cups add a stronger peanut butter profile to the flavor. These are a saltier version of a Reese's cup and add extra bursts of peanut butter and crunch throughout. They are also liberally spread out in the container and tend to make their way into most spoonfuls. I’d love this flavor with those two components alone but there’s still a graham crust swirl to talk about and man is it glorious. Seeing as it’s a crust swirl and not a cracker one, it adds a grainy texture without any of the crunch you’d get from normal graham crackers. I’m fine with that because it gives it an almost “soaked in milk” kind of feel. The honey and molasses from the swirl compliments the peanut butter base perfectly. A lot of brands tend to skimp on their non-liquid swirls but that’s not the case here. Turkey Hill has made sure that the graham crust is woven throughout the container and not highly concentrated to one spot. Awesome job, Turkey Hill! You guys managed to eliminate my disappointment of not being able to get my hands on Haagen-Dazs Peanut Butter Pie and with a frozen yogurt no less. This looks delicious! I loveee Turkey Hill but have never tried their frozen yogurt. How does theirs differ from their ice cream? Is it icy or tangy or is it like their ice cream? Olivia, there wasn't anything that would've tipped me off that this wasn't ice cream. Its a bit more dense than their normal stuff but I see that as a plus. Man I can't find this flavor or any limited edition Turkey Hill flavors in my area :( I'm in a Detroit suburb. Unknown, this was my first time finding one of their frozen yogurt flavors. More and more stores seem to be stocking Turkey Hill so don't give up!